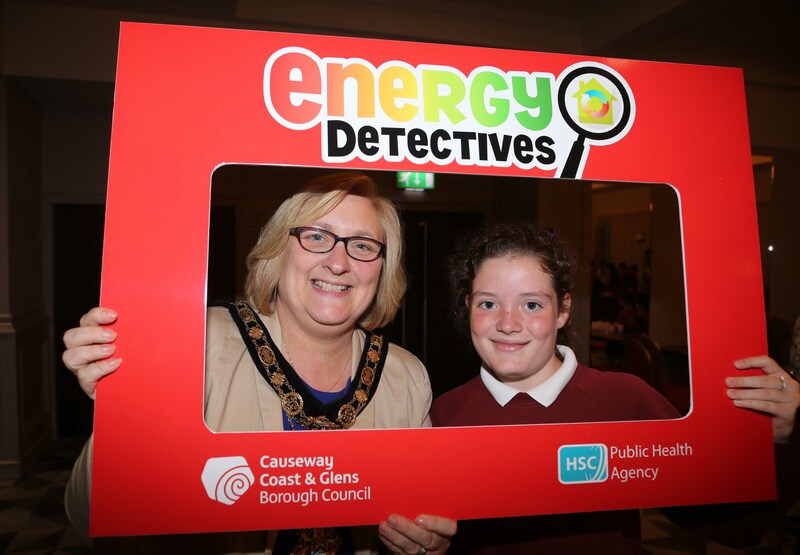 The Energy Detectives programme was developed by Causeway Coast and Glens Borough Council and Mid and East Antrim Borough Council in conjunction with the Public Health Agency. It is now in the running for Best Environmental Health Project in the Chartered Institute of Environmental Health Awards. 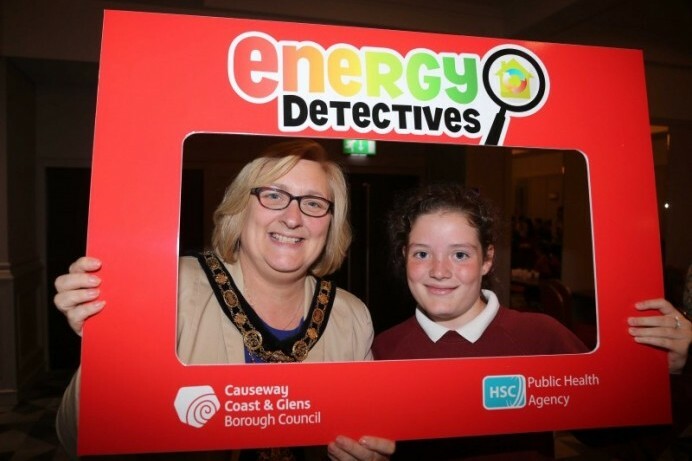 The Mayor of Causeway Coast and Glens Borough Council Councillor Brenda Chivers said: “I took part in an Energy Detectives session myself earlier this year and it was fantastic to see our young people benefiting from such an inventive programme. By engaging with them from an early age we can make a real differences to our local communities by helping them to save money and promoting overall health and well-being. The programme, which aims to provide practical learning around energy use in the home, encourages pupils to uncover ‘energy thieves’ through fun-filled activities. The national awards will take place in London on November 28th. If your school would like to accept the Energy Detectives mission you can contact your local council office and ask to speak to an Energy Efficiency Adviser. The Mayor of Causeway Coast and Glens Borough Council Councillor Brenda Chivers shows her support for the Energy Detectives programme with a pupil from St Mary’s Primary School in Cushendall.